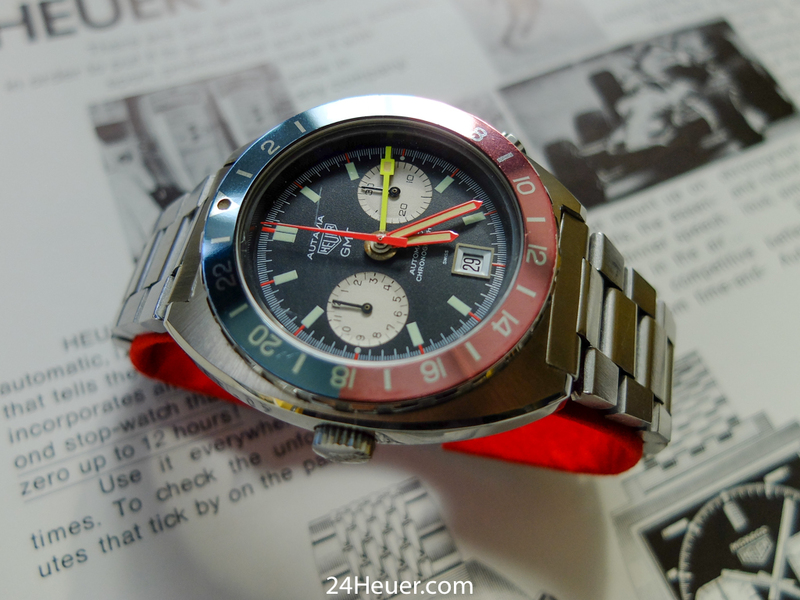 I'm looking at selling this lovely 11630GMT. 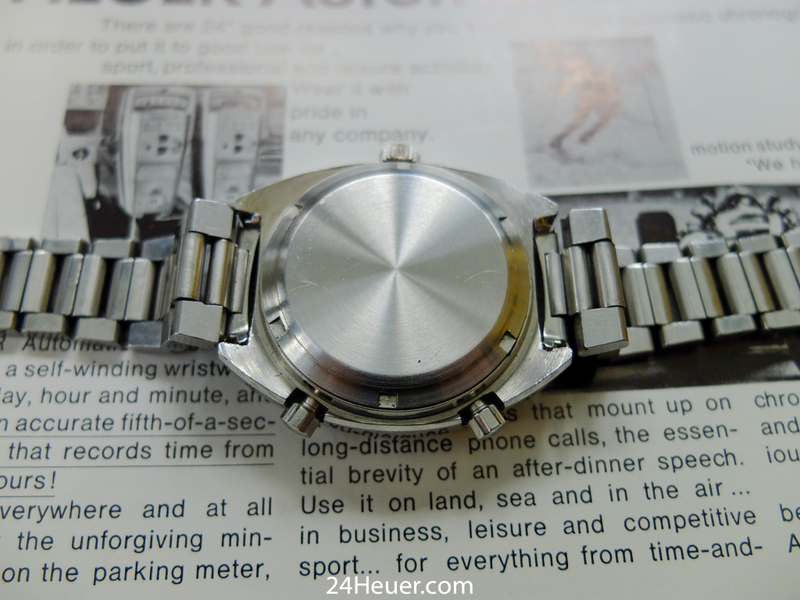 The beautiful/unmarked dial is the older style (plain sub-dials). 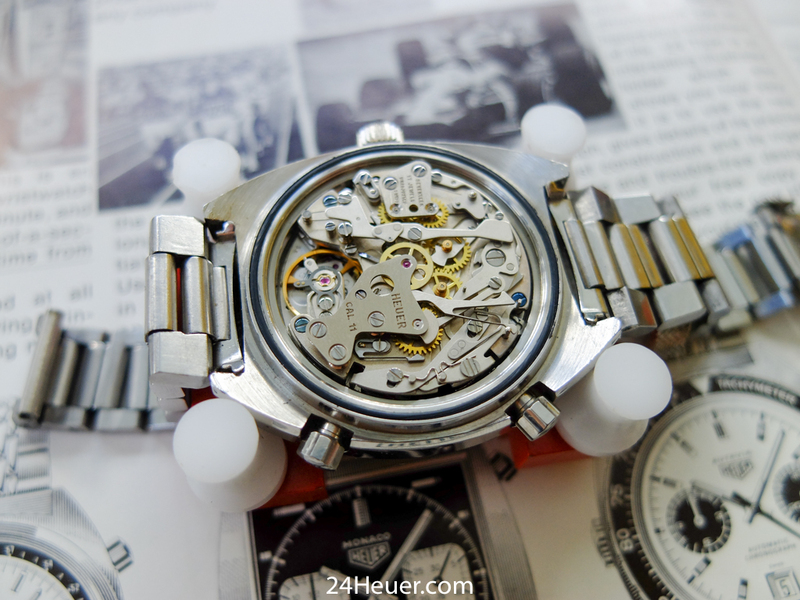 The movement is also the original Mk1 GMT movement with Cal 11 on the bridge (see photos). 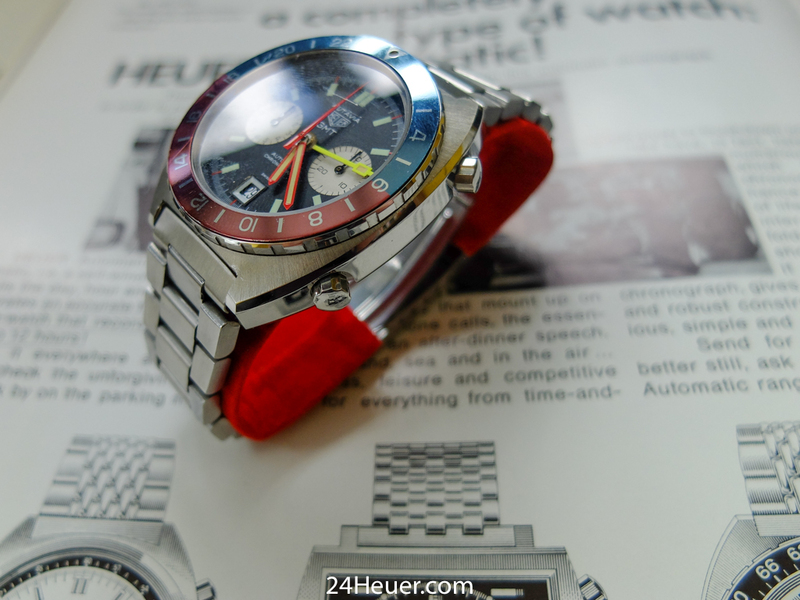 The story is that the case was changed by Heuer a long time ago when the original owner returned it for a service. I have no reason to doubt it and like the story. 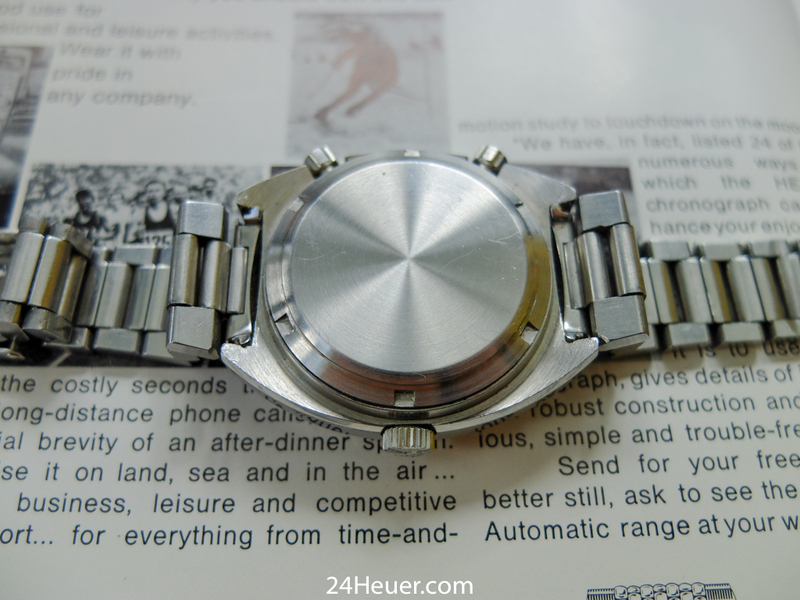 So, a super-rare movement/dial re-cased by Heuer into a 11630 case (correct GMT case ref 310xxx). I bought it just under a year ago and have worn it sparingly since. It's in lovely condition and can be worn as it is. I'd recommend a service as the pushers feel a bit spongy - although saying that it keeps great time and the seconds hand resets to 12 every time. 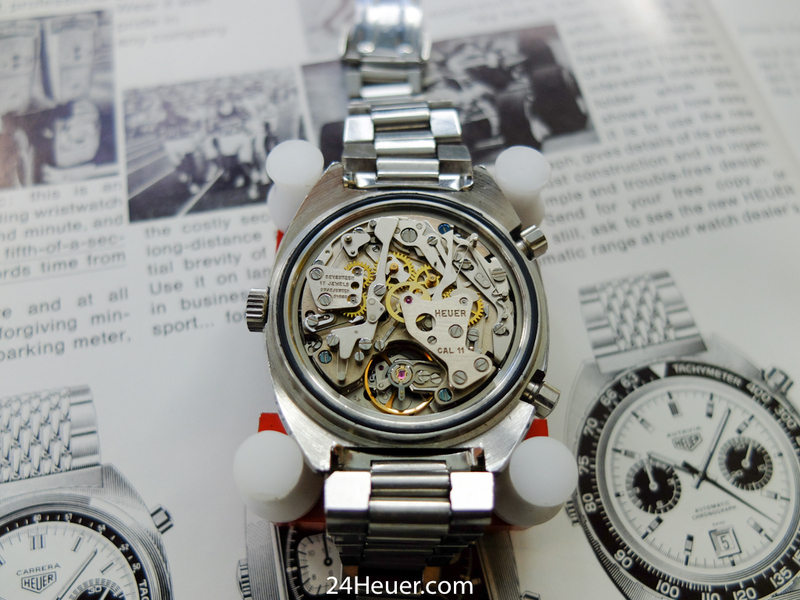 There is a small scratch on the crystal above 'Autavia' and on the bezel @ 20. These should be clear in the photos. 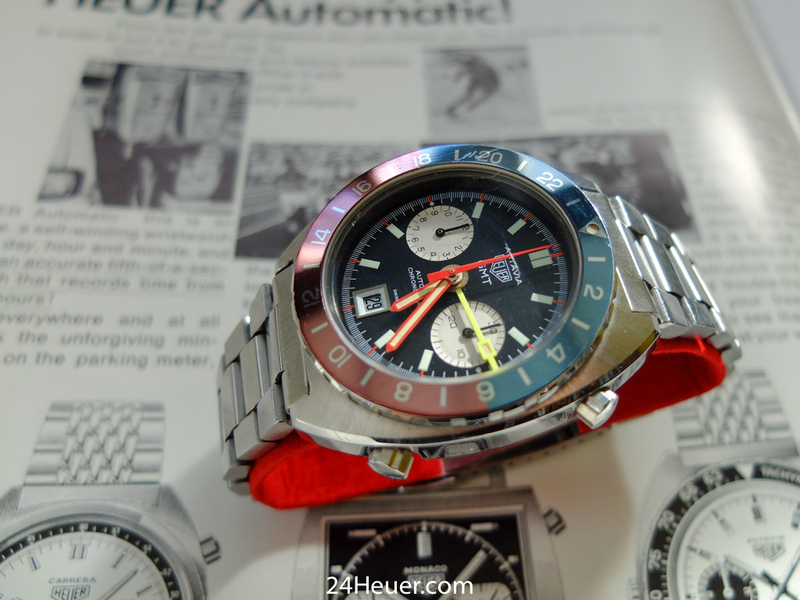 So, the price I'm looking for is £6000 (GBP) + shipping, net to me. This price is head only. The bracelet can be included for £6500 total. The bracelet is not for sale separately. Any questions, fire away at the above email.